WITI is Proud to Host the Digital Family Summit TONIGHT! Join the Collective Conversation... Click Here for Details and Registration! Are You Unable to Attend the Digital Family Summit Tonight? Jason Calacanis, CEO of Mahalo, will broadcast "This Week In Start-Ups" live from the event to thousands of technology professionals, interviewing: Peter Hirshberg, CEO, The Conversation Group; and Mike Jones, Chief Operating Officer, MySpace. Click Here to Stream this Interview on the Web LIVE, at 7:00pm (PST) Tonight! Only 39 Days To Go... For More Details or to Register, Click Here! I continue to appreciate your questions and comments about my articles. It's so nice to know some people are enjoying them and putting them to good use. As a result of the last round of questions, I find I have a few final comments to add about selecting a financial planner. You have done your homework. You have found two or more fee-only Certified Financial Planners that you might like to work with. Now, it's time for applying the last round of criteria and making a selection. Today more and more women are breaking out of the traditional corporate world to become entrepreneurs. These women are building companies-from the ground up-and finding new ways to innovate in technology. And as the number of women-owned businesses increases, we see an influx of new companies entering the market which, thanks to old-fashioned competition for customers, drives innovation and creativity. Are you unsure of the real value of social media? Do you feel there is not enough time in the day for Twitter, Facebook, YouTube, Blogs, and LinkedIn? Join Marjorie Kase as we address these concerns and the fundamentals and immense value of social media for business. Join Kathy Hill for this series of two one-hour teleclasses is for those who already have a specific goal and want to learn the strategies and tools that successful achievers use to achieve their goals. Being stuck is not a fun place to be. Like a jeep in a mud hole the only thing that happens when you step on the gas is lots of dirt flies everywhere - but there is no forward movement. The good news is there really are techniques that can work to get you moving again and here are three of the most powerful ones I know. Social media technology is at the core of the Museum of Modern Art's (MoMA) strategy to engage the public in dialogue about the museum's collection, exhibitions, education/film programs, special events and modern & contemporary art. By providing a rich and interactive online experience, Social Media is also helping MoMA grow its Membership and build a robust community around its brand. In his presentation, Richard Entrup, the Technology Director at the Museum of Modern Art (MoMA) in New York City, will provide an overview of MoMA's digital media initiatives on the Web and address opportunities and challenges presented by Web 2.0 technologies. This presentation will include a live demonstration and lively discussion of various Web2.0 technologies such as Twitter, YouTube, Facebook, iTunes, and flickr. Join WITI @ Bay Area SecureWorld Expo! We are pleased to announce our support of the Detroit SecureWorld Expo, September 29th & 30th at the Ford Motor Company Conference & Event Center. 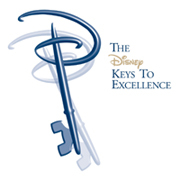 Join WITI @ Disney Keys to Quality Service for Healthcare Professionals! The Disney Keys to Quality Service for Healthcare Professionals program is a rare and affordable opportunity to learn best business practices from Disney insiders, and discover ways to easily and immediately adapt and apply those best practices to pick up the pace in these slow economic times. IMPORTANT: Please use promotional code WITIPNE to receive $50 OFF PER GUEST when registering. Additional group discounts are available. Join WITI @ the GreenTech & Sustainability Conference, in UN HQs, NYC! WITI Members: Attend the October 7, 2009, "GreenTech & Sustainability" Conference, in UN HQs, NYC! A limited number of courtesy admission passes are available for WITI Members (C-levels and direct reports, from international businesses). WITI is a proud Event Partner! Dr. Cheemin Bo-Linn, Board Member WITI, is our Special Guest Speaker. The Conference includes tutorials, expert panels, refreshments, and outstanding networking! Please see www.aitglobal.com for information (or call 631-921-8850).